ClearVia is a new clinically-tested probiotic blend that supports the body’s natural ability to metabolize alcohol* while you sleep so you (and your guests!) wake up clear and sharp. 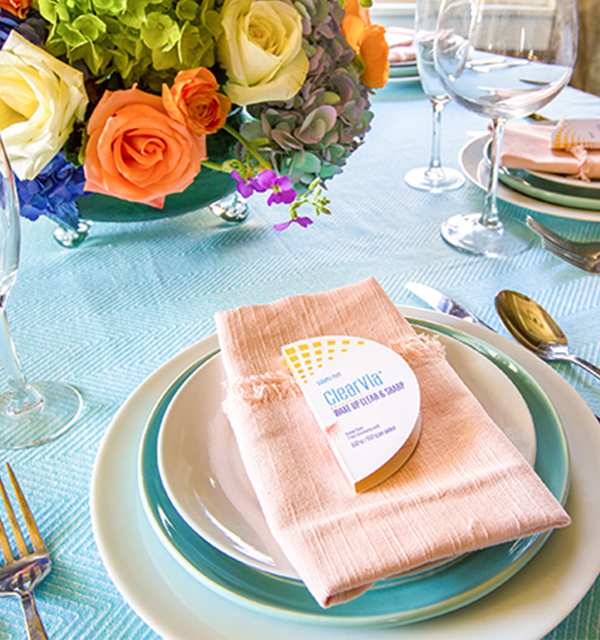 Place these beauties on your reception table for guests to take at the end of the evening and you’ll see a lot more smiling faces at brunch the next morning. 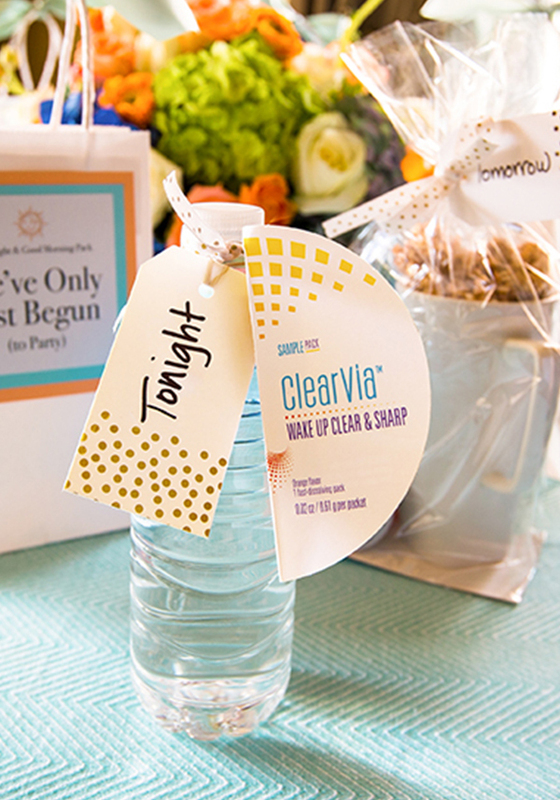 Use offer code: CLEAR15WC to get $15 off a 50 ct. pack of ClearVia. 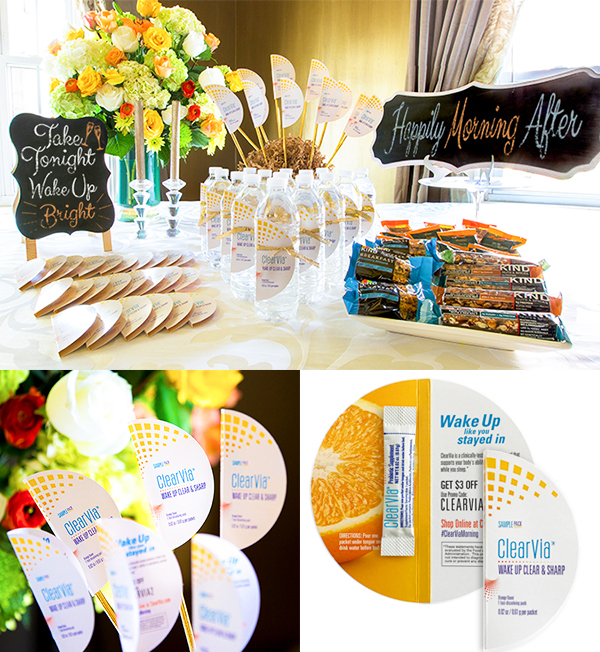 Looking for the perfect accessory to put in your bridal party gift bags? 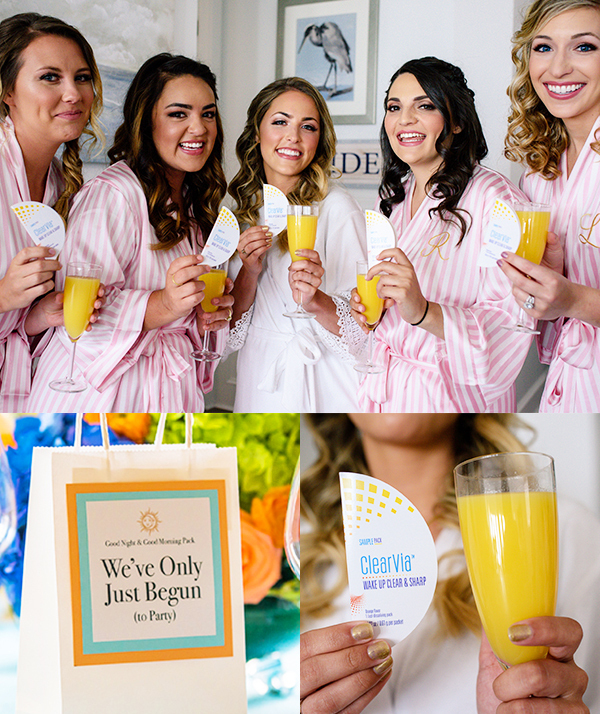 Give your besties the gift of feeling great in the morning after a night of celebrating...which will pretty much make you their hero. (Hint: if it’s going to be a long weekend, you might want to tuck 2 or 3 packets in each bag). Learn more at ClearVia.com. This post contains sponsored material from ClearVia. Please celebrate responsibly!